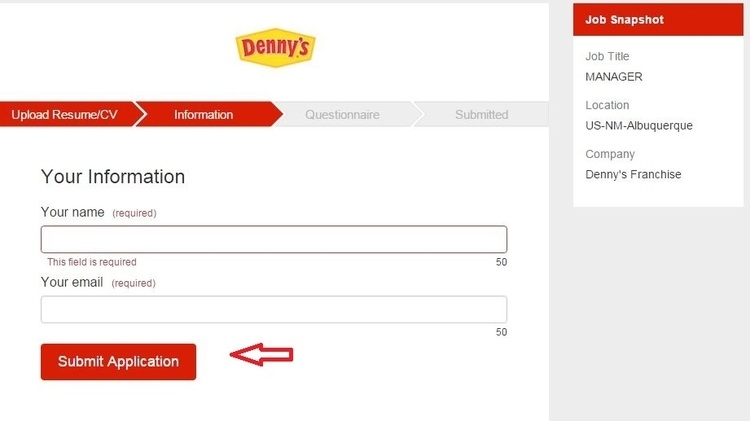 Visit dennys.com/careers and enter the craved position. If there is any uncertainty about the offered positions, view all the listed jobs. 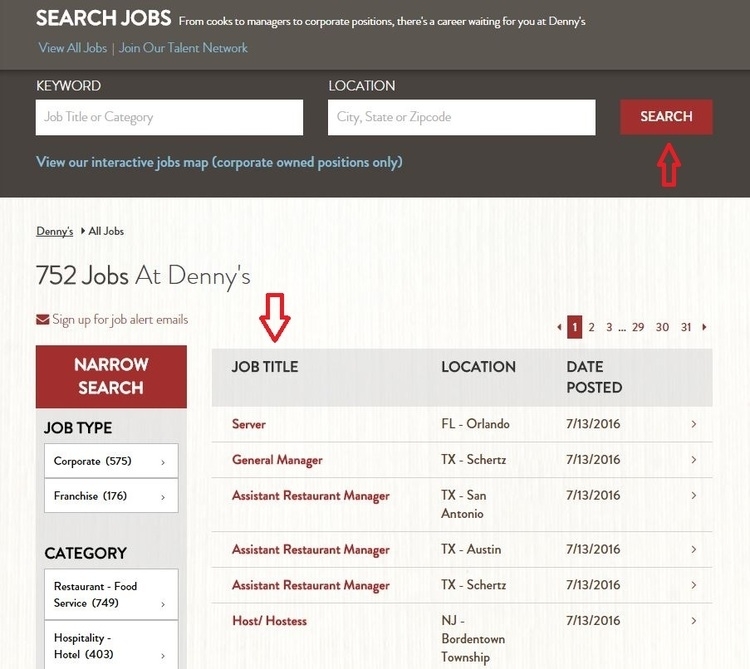 You can view by job type, category and location. Make an attempt to apply for one. This step is for you to check your eligibility for the position. Responsibilities of the job, qualifications and other requirements are clearly stated in this step. If you do not meet the requirements, your application may be a waste of time. 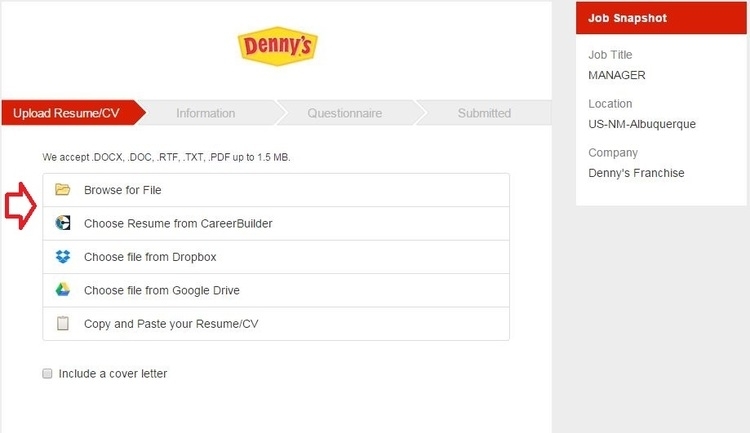 To apply for Denny's jobs online, applicants are asked to upload their personal resumes, which will help the recruiters better know the applicants' abilities and qualifications. You can upload .DOCX, .DOC, .RTF, .TXT, .PDF files up to 1.5 MB through several paths. Your name and email address are required. Click "Submit Application" to enter the next step. This is an optional two-questions questionnaire about your gender and race. 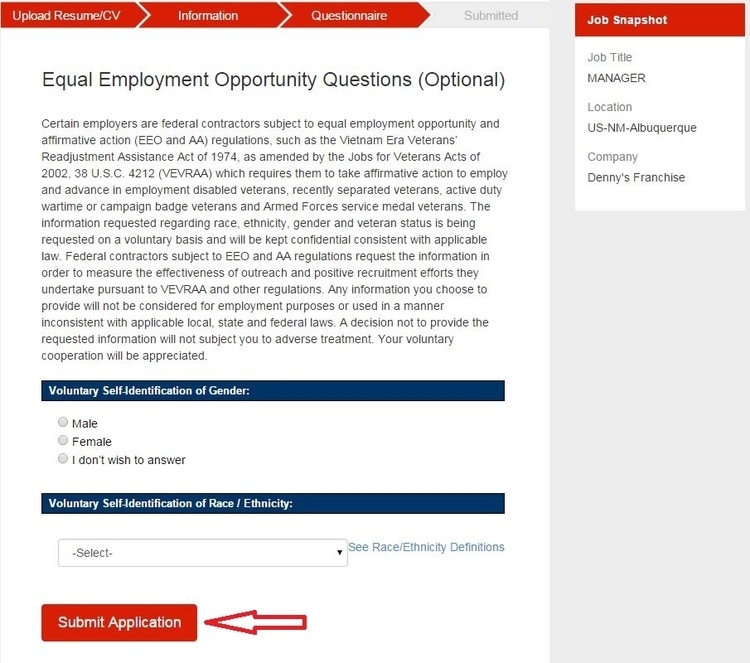 Click “Submit Application” button in red and you have finished your online application process. Your application info will be automatically received by the recruiting team. And you will be contacted within several days if they think you are qualified for the position you have applied for. 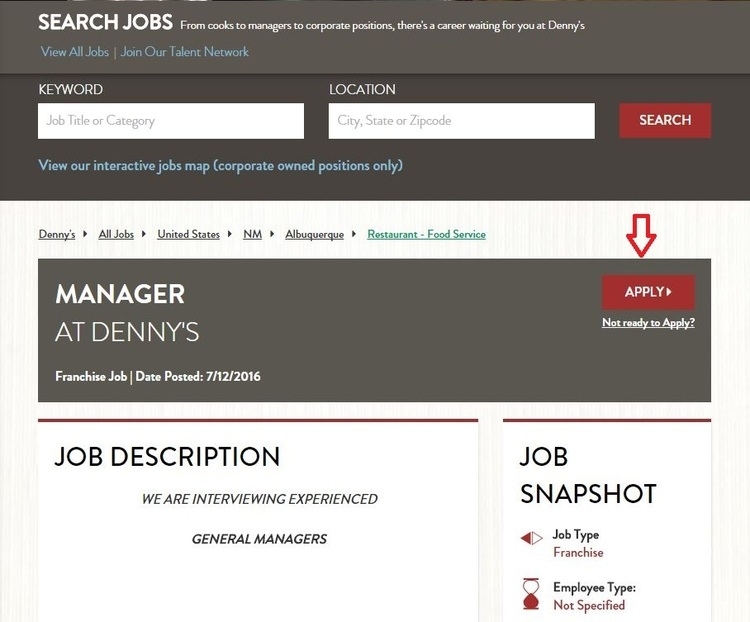 Click dennys.com/careers to apply for Denny's jobs online.